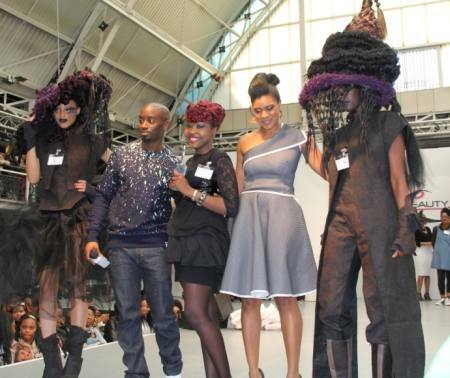 Michelle Garande, a Stylist at Afrotherapy Salon and Afrotherapy Creative Team member has confirmed her creative flair by winning the Fantasy Hair Competition at Afro Hair and Beauty Live 2013 held between 26-27 May 2013 at her first attempt. The event held at Islington Business Design Centre challenges Stylists to take Afro hair to the next level by creating an Avant-Garde Style that showed creativity, originality and visual impact. “It was such a great honor to have been picked as the winner, especially as it was my first time taking part in the competition and there were so many other accomplished hairdressers taking part. I was so happy that all my hard work paid off,” says Michelle.